Apparently 2015 is the year the PC gets serious about the HD remake craze. Resident Evil, Grim Fandango, Homeworld—it's only February and already three of the most notorious games in history have shown up in my Steam library, spruced up and ready for prom. 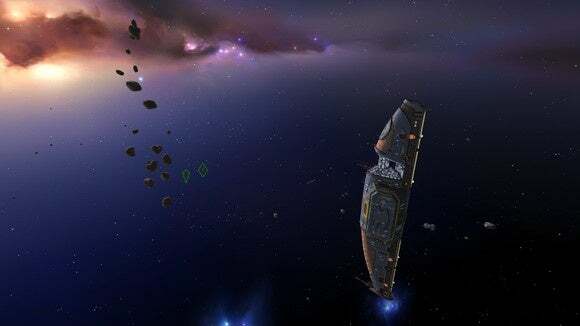 Homeworld Remastered is of course the latest of the bunch, with Gearbox resurrecting Relic's 1999 space real-time strategy game for another go-round. Once again we pitch the most important question: Does the experience hold up? 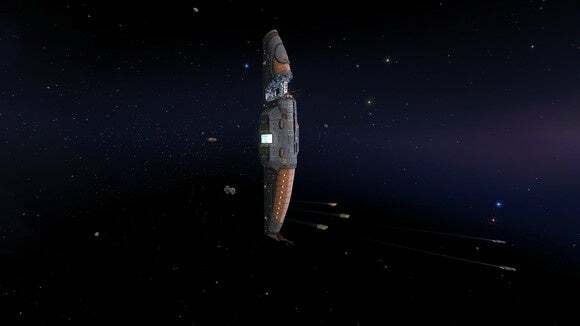 Surprisingly, Homeworld holds up better than pretty much any HD remake I've played, including the aforementioned Resident Evil and Grim Fandango but also genre kings like Halo and God of War. And it does so for one very important reason: There's still not a lot like it. It's been fifteen years since Homeworld's original release. Fifteen years since the advent of the fully-3D real-time strategy game. Look around. How many of those do you see? There are the occasional lookalikes. 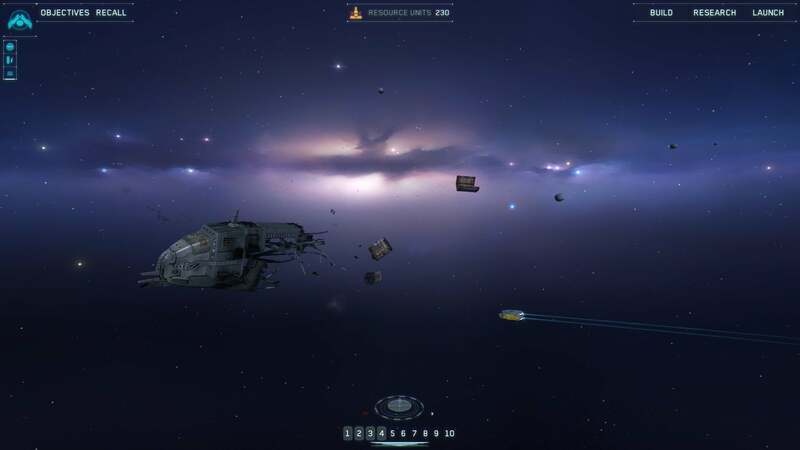 In fact, Paradox and CreativeForge attempted a Homeworld-alike just this past year with Ancient Space. 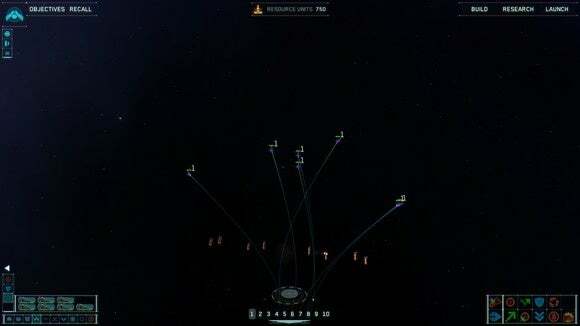 Even so, no pretender to the crown has ever dethroned Homeworld, in part because the real-time strategy genre sort of...stopped being a thing. Oh, we still have the occasional title like StarCraft or Planetary Annihilation, but by-and-large the RTS landscape looks a lot more bleak in 2015 than it did in 1999. And as for fully-3D movement in an RTS? Forget it. Nobody's messing with that. Even Ancient Space settled for 2D-pretending-like-it's-3D. The point is if you've never played Homeworld, doing so now feels about as revolutionary as it did in 1999. 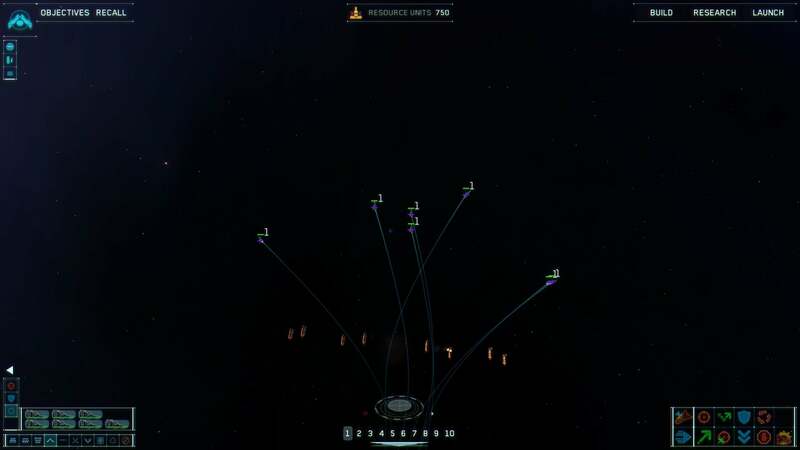 It's a space RTS that actually takes advantage of the fact that space is, well, space. You know that Wrath of Khan, "His pattern indicates two-dimensional thinking," eureka moment? It's a game built around that. It's a game where your ships move in three dimensions, and that matters. 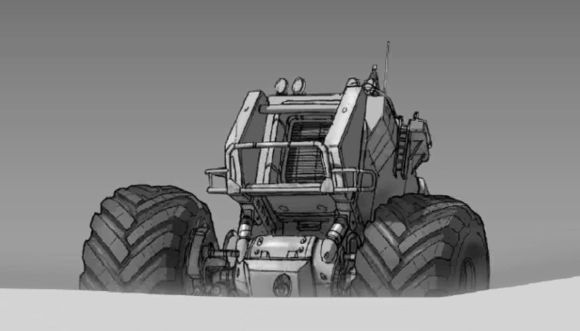 The story is standard space-opera fare: The Kushan survived on the desert planet of Kharak for thousands of years until a chance find in the desert alerted them to the possibility of galactic space travel. They spend a hundred years working on the Mothership, meant to colonize a distant planet known as Hiigara or "Home." The ship takes off only to find aliens lying in wait. The Mothership and its fleet fight off the aliens and return to Kharak to discover the planet's been destroyed. With no options left, the Mothership sets out across the galaxy as the last bastion of Kushan life. Hey, it's basically Battlestar Galactica: The Video Game. The comparison is even more apt because there's an element of persistence. At the end of each level your surviving ships and retained resources are carried over to the next mission. You are literally holding together the remnants of Kushan society as you travel home. So let's talk about the quality of Gearbox's remaster. Some of the work done here is stunning. 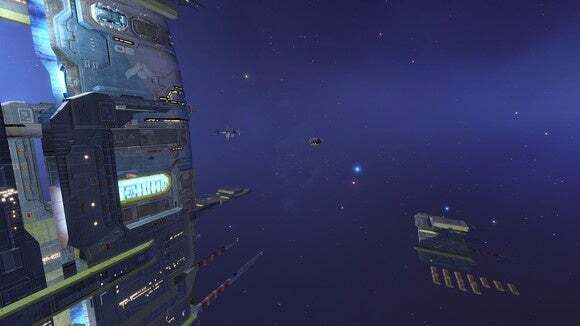 Gearbox has been kind enough to include the original Homeworld and Homeworld 2 alongside the Remastered editions, so you can boot up the old games if you'd like. And the same goes for the game itself. Ships are smooth and curved now, with particle-effect exhaust trails rather than the white lines of the original game. Space is full of light and gas clouds rather than bleak emptiness. 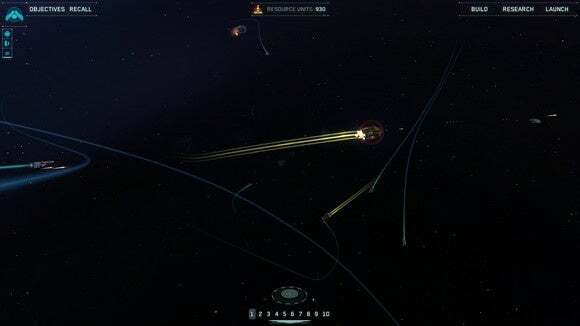 The zoomed-out tactical mode is way easier to understand. The camera glides around space, effortlessly panning around the battlefield. Oh, and you can run it in widescreen without needing to edit a settings file. Homeworld 2 with a small fraction of the Mothership on the left-hand side. 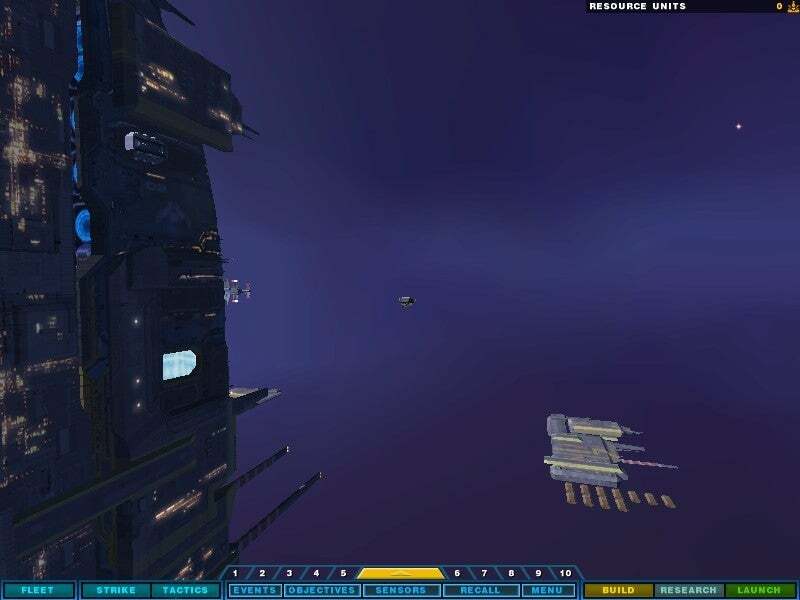 Homeworld 2 Remastered from the same angle. 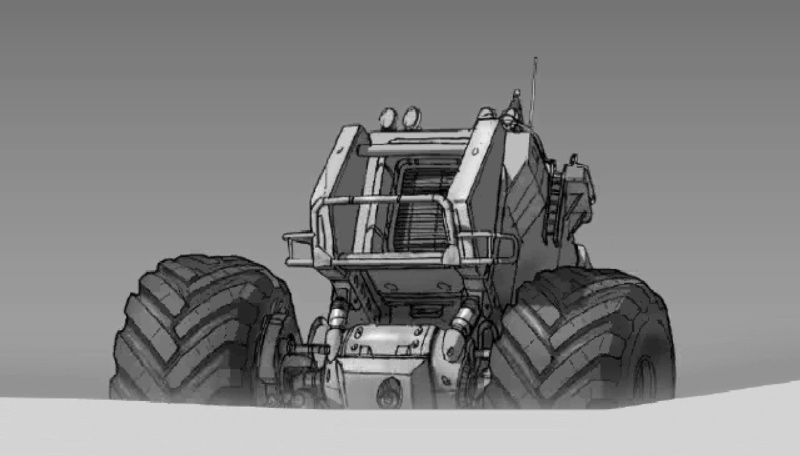 On the other hand, some aspects of Homeworld Remastered are a bit odd. The original game was praised for its minimalist menus—they'd disappear unless you moused over the bottom of the screen. No such luck here. In fact, Homeworld Remastered blows out the menus to occupy all four corners of the screen. You can make various menus disappear by hitting the Backspace key, but they actually do disappear when you do this. You can't mouse over them to bring them back or anything along those lines. You'll need to hit Backspace again until the menus come back into view. The menus are also oversized and rather artless. The Build and Research menus particularly offend, taking up the entire right-hand side of the screen with mostly empty space. In a real-time strategy game where you're trying to simultaneously manage troops and build or research, a menu taking up half the screen is utterly infuriating. Another small change: Unless I'm missing something, you can no longer play the Homeworld campaign as the Taiidan Empire. That's not a huge deal considering Homeworld didn't even bother changing the story if you played as the Taiidan faction, but it's noticeable when you swap back and forth between the original game and the remaster. And unlike literally every PC game ever made, for some reason Homeworld Remastered doesn't allow you to open the pause menu with the Escape key. You have to instead mouse over the logo in the top left to access Save/Load/Settings/Quit. Good luck remembering that when you're instinctively mashing the Escape key late one night. 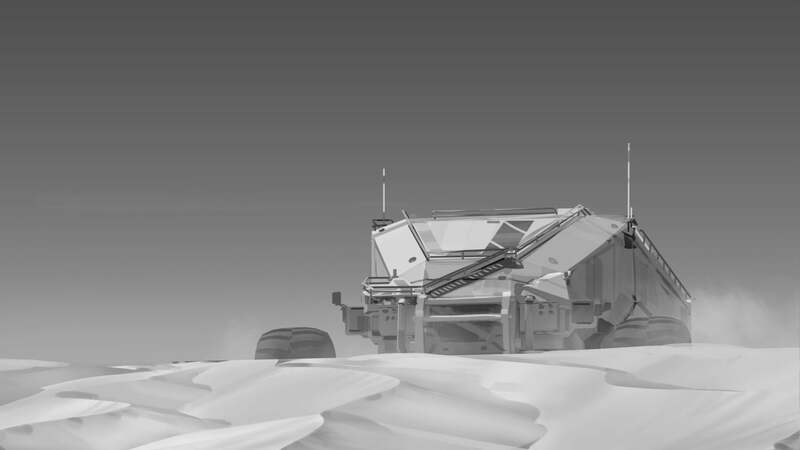 Homeworld Remastered is exactly what I want from this sort of preservation exercise. Not only has Gearbox put in the work to modernize Homeworld, but the core game hasn't aged too poorly either. That's something that can't be said of so many other HD remakes. I hate to harp on Resident Evil and Grim Fandango, but neither of those games are as accessible or revolutionary in 2015 as they were when first released. 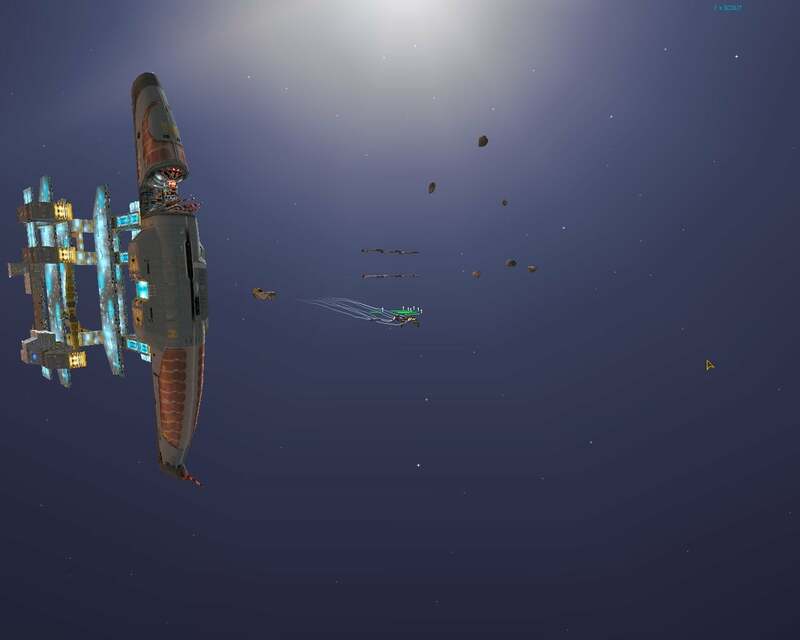 Homeworld is the rare game that, because of its unique approach to a rote genre, feels just as impressive today as it did in 1999. Keep in mind that it's an older game and thus still—at least in my opinion—a bit more difficult than your average modern RTS. A bit more unforgiving. With that in mind though, would I recommend it? Absolutely.